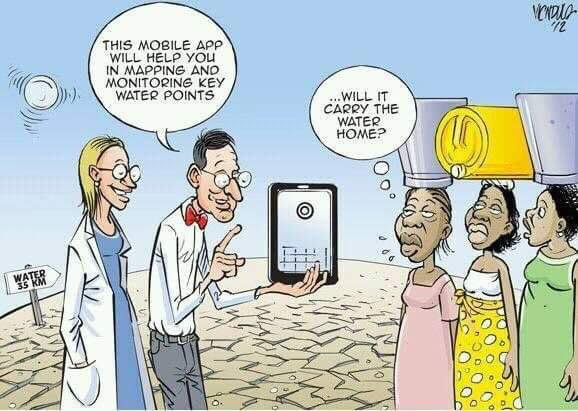 Here’s everything interesting in African technology today. Not subscribed? Click here to get this goodness in your mailbox every day at 7am (GMT + 1). Last Friday was proof that my enemies are out to get me. One moment, I was riding the waves of YouTube’s recommendation algorithm, from Markov chain explainers to 10-hour musical masterpieces and the next, it was total silence. 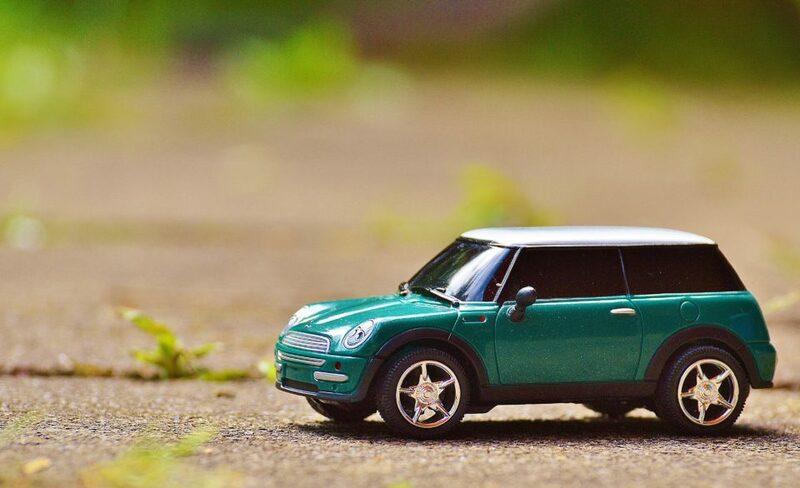 The failure of an integrated circuit the size of my fingernail, in a wireless router that could fit snugly in my backpack, meant that I was cut off from civilization – no communication; no newsletter; no work; no movies; no music; no…thing. It is worth thinking about, that as we build products for people, and digitize all the analog parts of the human experience, our little failures will go on to have an outsized impact on the lives of our users. “Internet infrastructure” is quickly becoming “infrastructure”. Your harmless “If” statements control the conditional logic of a human being’s life. The insignificant has become significant, and it makes me equal parts excited and terrified, that the scrappy startups we build today will go on to become the beacons holding up entire economies tomorrow. Random: I just got my edges snatched by the season finale of Game of Thrones, and I’m going to try to make it through this digest without making a reference to it (fear not; there will be no spoilers even if I fail). 1 – Broadband Speeds across Africa. ? Kenya is the highest ranking African nation in a new ranking of broadband internet speeds across the world. 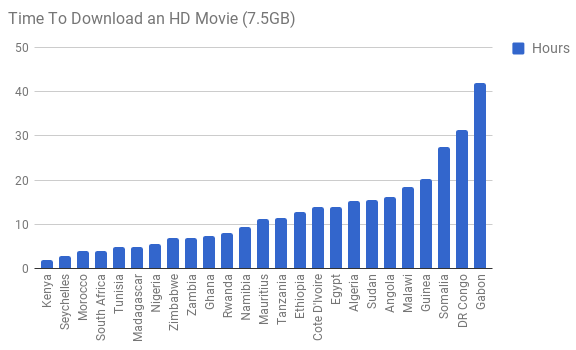 Kenya ranked 51st globally with internet speeds of about 9mbps, which means it would take just under 2hrs to download a 7.5GB HD movie. For context, It would take just 18 minutes in 1st ranked Singapore and the UK made it a law that every area must have access to broadband of at least 10mbps. The full list is available here. 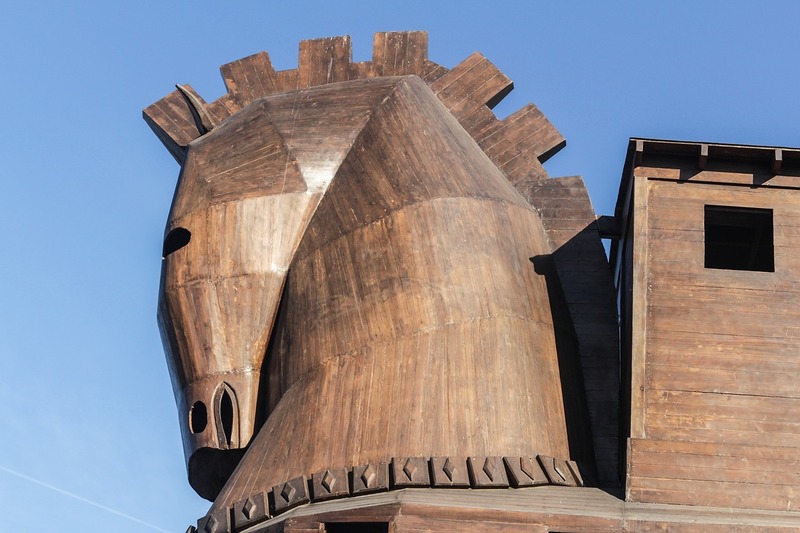 2 – Whither art thou, unbanked? ? 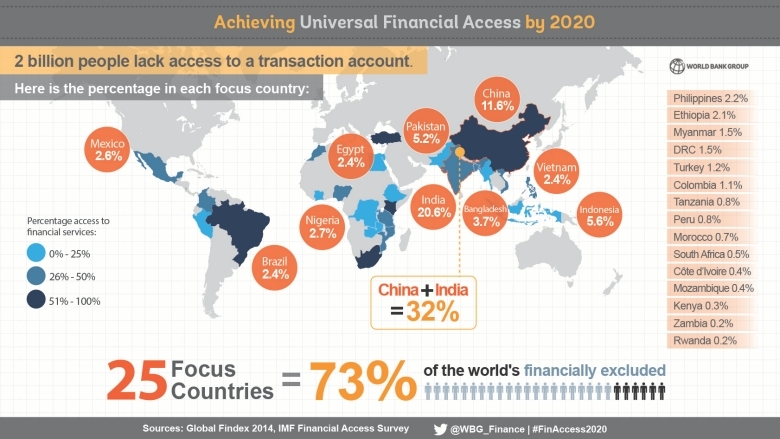 The vast majority of the 2 billion unbanked people in the world live in just 25 countries. We have a ton of work to do. Source. 3 – Privacy? What Privacy? ? 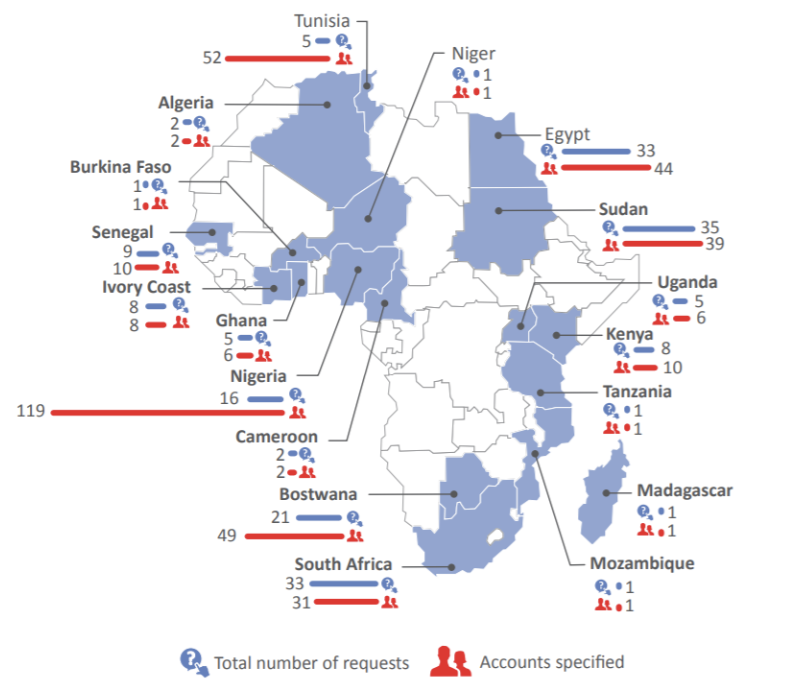 This chart shows the number of requests for user information Facebook has received from governments across Africa between 2013 and 2016. (Look at the big, shameless, red line that represents Nigeria.) Full CIPESA report. 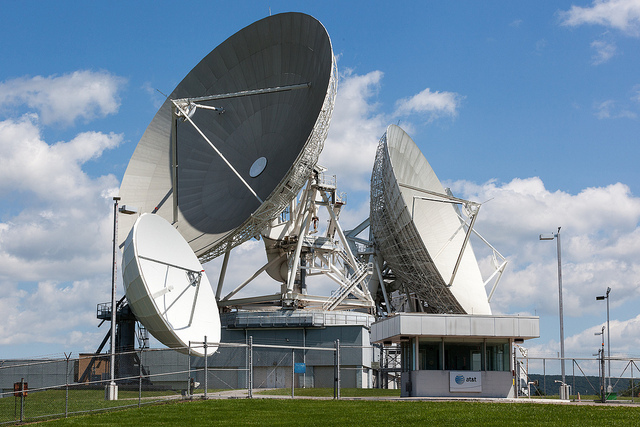 + Elsewhere, the South African government is spying on mobile users. Link. Your ad here. Email osarumen@bigcabal.com, or just hit reply. + Tanzania is partnering with Zipline (the SV robotics startup) to build a drone delivery network for medical supplies. Remember that the startup has a similar arrangement with the Rwandan government to make up to 150 flights a day. Tanzania says theirs will be even bigger. ?????? + Podcast: Starta’s Dotun Olowoporoku talks to Paylater’s Ngozi Dozie about the paradox of focus for African entrepreneurs amongst other things. Link. + The most interesting responses to the vignette in Thursday’s digest. + Catch up with our Radar AMA with Yele Bademosi from Microtraction. Link. + Mobile Money transfers in Zimbabwe could help the fight against hunger and poverty. Link. // I like this story. + TIL that most of Wakanow’s senior leadership is female. Nice. Link. + Someone has tried to digitize Computer Village, Lagos. Link. ?? + Union Bank is launching an acceleration programme with CcHub. The carrot seems to be strategic partnerships with and support from the bank. Link. + Are you developing open source VR/AR technologies that can help improve children’s lives? The UNICEF Innovation fund is offering $50,000- $90,000 in equity free funding. Apply by September 17, 11:59pm EDT. + Apply for the Silicon Valley Accelerate Programme. Deadline is 22 September. Link. + Imisi 3D and Hardware Lagos are organizing a hardware challenge to build an all-in-one solar powered VR headset. Find out more here and register here. Applications close on September 3. Lagos: Datalytics Meetup will hold tomorrow, 5:30pm (WAT) at CcHub’s 6th floor. Deets. Lagos: On Wednesday, August 30, ABAN, VC4A, LAN, and V8 will host an investor masterclass around the topic of startup valuations. The session will be facilitated by Tomi Davies. Email events@v8africa.com for an invite.